107 x A Big THANK YOU! Looking at my own achievements in 2011, one of my most amazing accomplishments was the completion of 107 MBTI® assessments! To be honest, this is more than I had expected at the beginning of the year. 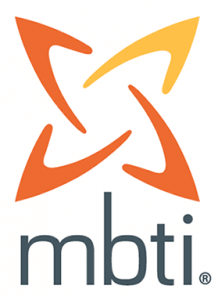 As a Thank You Offer, I will provide a series of MBTI® Webinars in 2012 to further enhance your self-development, improve leadership skills, and boost team performance. For everyone who has done a MBTI assessment with me in 2011 participation will be for free! The Myers-Briggs Type Indicator® (MBTI®) is the most widely used personality instrument in the world. Vivo Coaching is a premium provider for MBTI® Assessments & Workshops in Bangkok, Thailand, and the SEA region. Dr. Gerrit Pelzer is the only ICF-credentialed coach in Thailand who is an Accredited MBTI® Administrator. Between 80-100% of Vivo Coaching’s MBTI® Workshop participants report one month after the workshop that they have improved communication, conflict management, and teamwork!